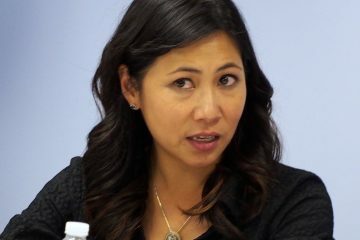 Two days after she and her Republican election opponent drew a clear distinction on climate change, Democratic U.S. Rep. Stephanie Murphy ridiculed him Thursday for dismissing that humans might have a role. 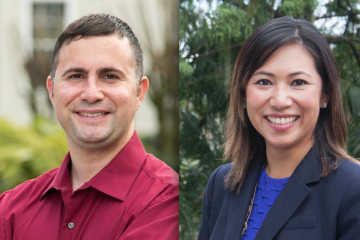 “My opponent, state Rep. Mike Miller, he refuses to recognize that humans contribute to climate change. And making matters worse, he dismissed concerns about climate change stating recently that, ‘Unfortunately, none of us is going to live 10,000 years to see what it’s like in 10,000 years,'” Murphy told a small gathering of environmental protection leaders gathered for a roundtable discussion in Orlando Thursday. 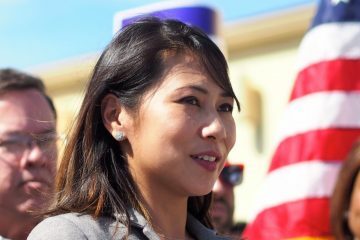 Miller is challenging the freshman congresswoman from Winter Park in Florida’s 7th Congressional District, covering Seminole County and north and central Orange County, in the Nov. 6 election. In her remarks, and in much of the question and answer that followed, Murphy discussed environmental matters ranging from environmental justice issues that most affect poor communities, particularly minority comunities, to the red tides ravaging Florida this summer and fall. But for re-election purposes, she focused squarely on climate change, and her commitment that human activity is at least accelerating it, and that Florida is at great risk if something is not done soon. “We can’t begin to earnestly address all of these challenges without first recognizing the human contributions to our changing climate and identify common sense solutions,” she said, referring to Miller. Miller, who has a strong Republican record in the Florida Legislature on environmental protection issues such as water, responded by agreeing that something could and should be done, and then challenged Murphy’s opportunity to do so. “There are bipartisan solutions we can consider to reduce our carbon footprint and do our part to preserve our valuable resources and protect our environment. It’s unfortunate Congresswoman Murphy is unlikely to be a part of these bipartisan solutions because she votes with Nancy Pelosi 90 percent of the time,” he responded. Murphy is a member of the bipartisan Climate Solutions Caucus in Congress, cofounded and co-chaired by her Florida colleagues, Republican U.S. Rep. Carlos Curbelo and Democratic U.S. Rep. Ted Deutch. On Thursday she also called for bipartisan efforts to address climate change. She also touted her endorsements by the League of Conservation Voters of Florida and the Sierra Club, which both had representatives at her roundtable. In a moment of mild awkwardness, Murphy even politely changed the subject after one of the activists at her roundtable suggested she join the Democrats’ Congressional Progressive Caucus. Murphy has joined several centrist caucuses and generally has sought to avoid being associated with her party’s progressive wing. At the discussion Thursday, Murphy also called for building the reservoir south of Lake Okeechobee, restoring the Everglades, putting more money into studying the issues of South Florida, increasing standards on water pollution, and promotion of sustainable energy. She also said the United States needs to beome a world leader in addressing climate change. She recalled with a mixture of grief and frustration that she recently took her children to a Gulf coast beach to hunt for shark’s teeth, “and my kids started coughing, and having a hard time breathing. And we realized it was the red tide, so we got off the beach. She also contended that no state has more on the line than Florida, with its vulnerability to rising sea levels, stronger hurricanes, natural resources destruction, and because of its tourism industry, saying that Florida leaders need to take leadership toward immediate action. “This year alone Florida faced, red tide, toxic algea, one of the most powerful hurricanes to ever to hit our state; we’ve dealt with extreme heat, damaged citrus crops, and king tides, and other problems resulting from rising sea levels, not to mention sunny-day flooding in South Florida,” she said.